Back in June 2011 I wrote about a very special monument in the churchyard of St Lawrence’s: A forgotten tragedy: Rigg family monument. The Press yesterday carried a story about plans by York Civic Trust to restore the monument. At the time I compiled the original page I wondered if this might happen, at some point. The monument was by then dilapidated. But in its gracefully dilapidated state perhaps more moving. In 2004, when I’d first taken a photograph of it, real ivy covered its carved depictions of ivy. Natural processes at work, nature reclaiming, reminding us in a more visible way of what the Victorian verses told us about the transient nature of our lives. But also how the natural world takes it all in, grows around it, carries on. Some gentle intervention perhaps stopped the monument being completely overwhelmed by vegetation, in the intervening years since. Sometimes benign neglect is better than aggressive restoration. Sometimes the silent and slow collapse and reclaiming by nature is more appropriate and fitting. It’s more than 180 years since the devastating family tragedy commemorated by the Rigg monument. Now, in 2015, York Civic Trust proposes renovation and a reinstatement of the monument, to also stand as a memorial to all those who have lost their lives in the river, more recently. Clearly well-meant, as all the Civic Trust ideas are. But a good idea? The comments under the article in the Press suggest that this proposal doesn’t have much support in the wider York community, or at least among readers of The Press who comment on the website. Some of the comments demonstrate an insensitive and judgmental attitude to the more recent tragedies endured by the many families who have recently lost loved ones in the city’s rivers. But the issue has been raised, and one of the comments sums up more thoughtfully the discomfort at ‘co-opting an existing monument’. It’s clear that the Civic Trust have for decades done good work, paying for enhancements to the civic realm, without most of us noticing or knowing that they did it. Adding things into the civic realm is one thing. Renovating or changing things that are already there is a different thing, and far more sensitive and open to question. Not everyone was delighted at the restoration of the Bile Beans sign – another project led by York Civic Trust. I wrote about it at the time, and remember also the mixed reaction on social media. It’s clear that the Civic Trust has influence and can get things done. It’s also clear that many local businesses and individuals are happy to donate the funds to get these things done. But the Civic Trust doesn’t own these things, does it. It doesn’t, as far as I know, own the Bile Beans sign or the Rigg family monument. Is the membership of the Civic Trust representative of the citizens of York? The comments on the Press article suggest not, perhaps. A couple of years back I wrote something about the changes in King’s Square, about who had the power and influence to make these changes, whether it was right that they did, whether more of us should have/could have been involved in the remodeling of ‘our’ square. And here, again, there are similar issues, ideas about civic ‘improvements’ we might not all view as such. Not just restoring a monument, which in itself is open to question, but imposing upon it a new meaning and significance. Here’s a photo of the monument back in 2004. 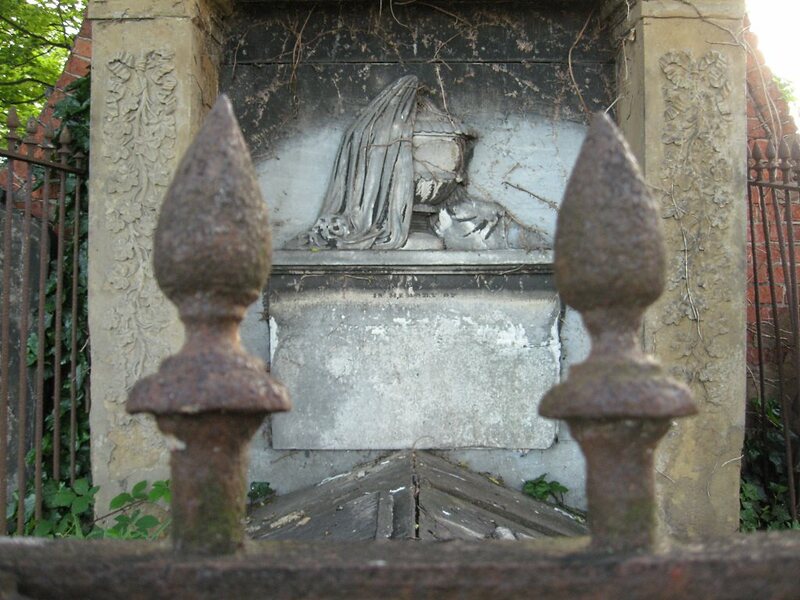 And there’s information on its history in my earlier and recently much-visited page: A forgotten tragedy: Rigg family monument. By Lisa @YorkStories • 10 December 2015 Memorials, Opinions, thoughts To link to this page's proper location please use the > permalink. Lisa — thank you for this thoughtful article. We understand that benign neglect of ancient monuments is sometimes the correct way forward. But the monument clearly has much contemporary resonance and it is situated right beside the major entrance into St Lawrence Church, and in the formal setting of a churchyard which is used every day. 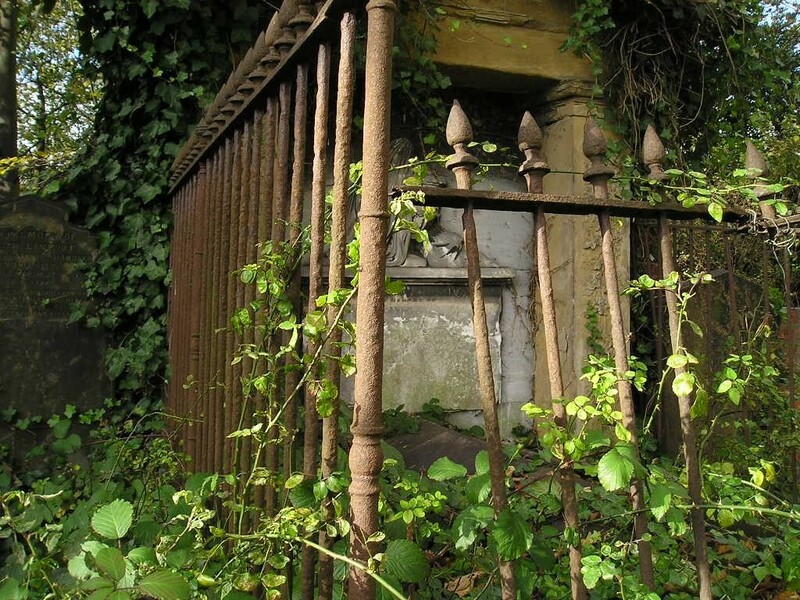 We, and the church wardens, consider that careful conservation is the right thing to do. The connection between a river tragedy in 1830 and the continuing tragedies of accidental deaths in the river, was not one which we initially pointed out. But it was inevitable that such a connection would be made, and we have no objection at all (how could we?) if the Rigg monument is seen as a monument to all river tragedies. Your big question is: “Is the membership of the Civic Trust representative of the citizens of York?” We certainly want it to be so, and your article will help it to be so. Please join us and let more voices be heard! I appreciate your response here, thank you. And continue to find the subject thought-provoking. You write: ‘if the Rigg monument is seen as a monument to all river tragedies’ – but it hasn’t been seen that way by most people, I imagine. It would never have occurred to me personally. To me it’s a very particular monument marking a particular family tragedy at a particular time, 185 years ago. Very much of its time. And also, of course, like any memorial, it provokes emotion, and sadness, and has extra layers of meaning in religious beliefs held by some observers. So any changes to it will arouse conflicting views with more depth of feeling than, say, the repainting of an old advert on a wall. I find myself wondering, for example, if any descendants/distant relatives have been found. And whether, after all this time, there would be any feeling of ‘ownership’ or strong sense of connection to the memorial. But, as in all things, there will be a range of opinions. Ultimately it’s good that so many people care about the place, in so many different ways.